Appears to be sad, angry or even frustrated after texting or online. Avoids wanting to talk about their digital activity. (At which point you should encourage them to get online with you, have them teach you something about social media - a new app, anything to get them talking. Open the lines of communication as much as possible). Suddenly stops using their digital devices. Becomes abnormally withdrawn from activities they typically like. Finds excuses to not be at school or with friends. Have you exhausted your local resources? Local therapy is not working or your teen is refusing to attend or engage? Keep in mind, cyberbullying is a serious emotional concern. Teen's will go back and re-visit the mean post/comment over and over again and obsess on it. They will eventually become extremely distraught and depressed. 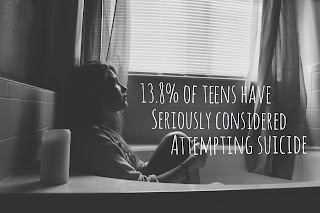 Some teens have considered suicide or have taken their lives. If you feel your child is suffering from online abuse and refusing to talk to you or anyone else, it might be time to consider residential therapy. Communication is key to healing and wellness. Contact us today.